Combine grated cassava, coconut milk, butter, eggs, and condensed milk in a large bowl. Mix well using a wire whisk. Pour the cassava mixture into individual molds. Arrange the molds in a steamer. Steam the cassava cake for 45 minutes. 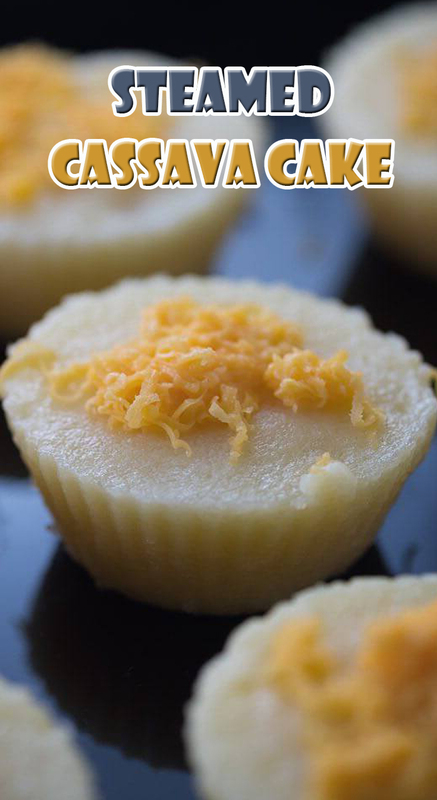 Remove the molds with cassava cake from the steamer. Let it cool down. Gently separate the cassava cake from the mold. Arrange on a plate. Top with shredded cheese.